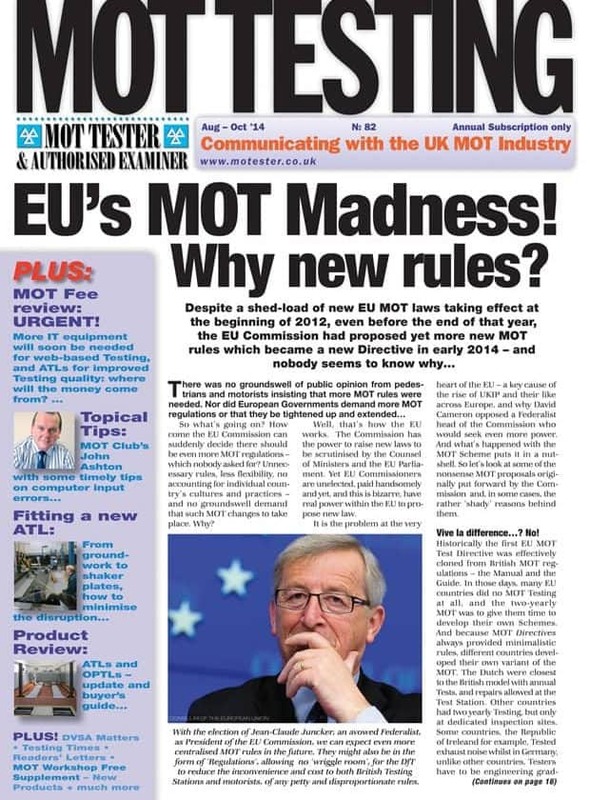 MOT Testing Magazine is a subscription-only quarterly analysis of UK MOT regulations and MOT-related news and products. 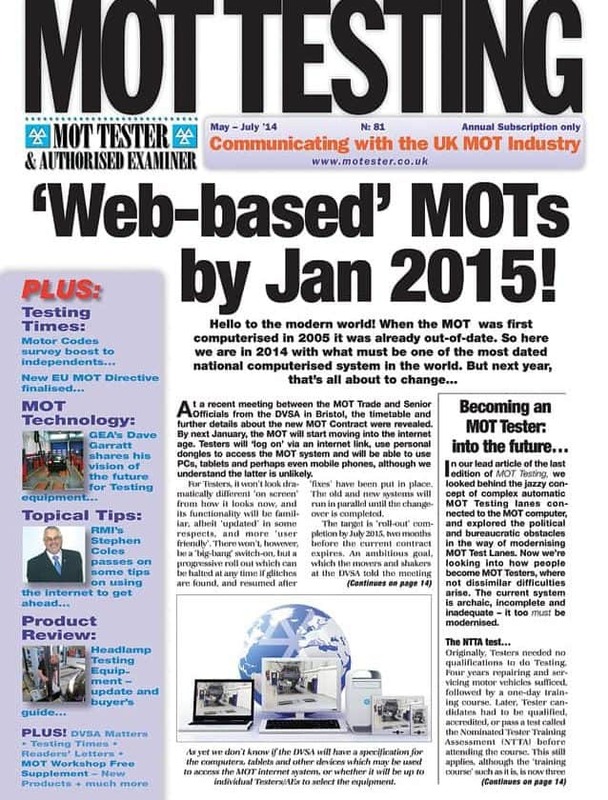 News and information from the MOT Industry, contributions from leading industry experts or consultants giving guidance on regulations and procedures. News about developments and personnel from the government’s MOT Executive Agency DVSA and an extremely useful Buyer’s Guide – a product or equipment review.